B&H offers the Apple 12.9 iPad Pro for $699. Features: This iPad Pro is immensely powerful, portable and capable while the A10X fusion chip delivers more power than most PC laptops. The redesigned retina display is more responsive and immersive with smoother scrolling and swiping. iPad Pro is designed for the world we live in today. 10.5" retina display. A10X fusion chip with 64 bit desktop class architecture. Touch ID fingerprint sensor. 12 MP camera with 4K HD video. 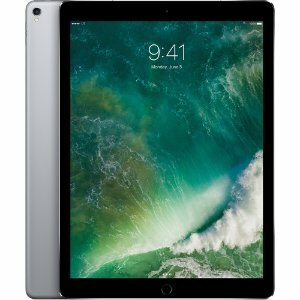 Save up to $350 Apple iPad Pro 11" & 12.9"
Cause it is Kindle Why Kindle?